After the Reserve Bank's 20-80 principle , customs is set to make life tougher for gold jewellers. In a draft notification, which has been circulated to the gold trade, the customs department is insisting that fresh consignments of gold will be imported only after the gold issued to exporters in the previous consignments is exported and money realised from overseas buyers. According to the existing norm, after importing gold, exporters have the option of realising the payment within 270 days. If the proposed notification becomes operational , according to the present price realisation timeframe, nominated agencies can bring a maximum of 3 consignments a year. "This will impact the distribution of gold to both domestic and exporting businesses," said Pankaj Parekh, vice-chairman , Gem & Jewellery Export Promotion Council. Post July 22 circular, banks and nominated agencies have hardly imported gold. The apex bank had asked banks and agencies to ensure that at least one fifth of every lot of gold imported is exclusively made available for exports. The remaining quantity can be sold to domestic traders, jewellers and bullion dealers. Further, banks and agencies will be required to retain 20% of the imported gold in the customs department's bonded warehouses. Fresh imports will be permitted only after the export of at least 75% of the retained quantity that lies in the custom's bonded warehouse. 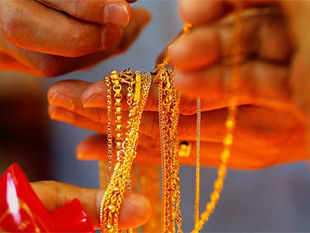 Exports of gold jewellery from India fell 70% in July due to non-availability of raw material.